Welcome to the UKs premier outlet store. With brand giants Natuzzi, as well as many other Italian brands, buying a new sofa will be a breeze. Based in Accrington, Lancashire, our showroom is open seven days a week, with our experienced staff ready to help with finding your dream suite whilst sipping on Italian coffee. If we're a bit far away for a browse, we are available via telephone on 01254 427675, or by email at Sales@sofamax.co.uk. We look forward to providing the finishing touches to your home. Natuzzi Forza, also known as Club , Parma , Urban and balance, thick leather power reclining 3 seater with matching static 2 seater, available to order in different combinations and also in different colours. Call 01254 790795 for further information. 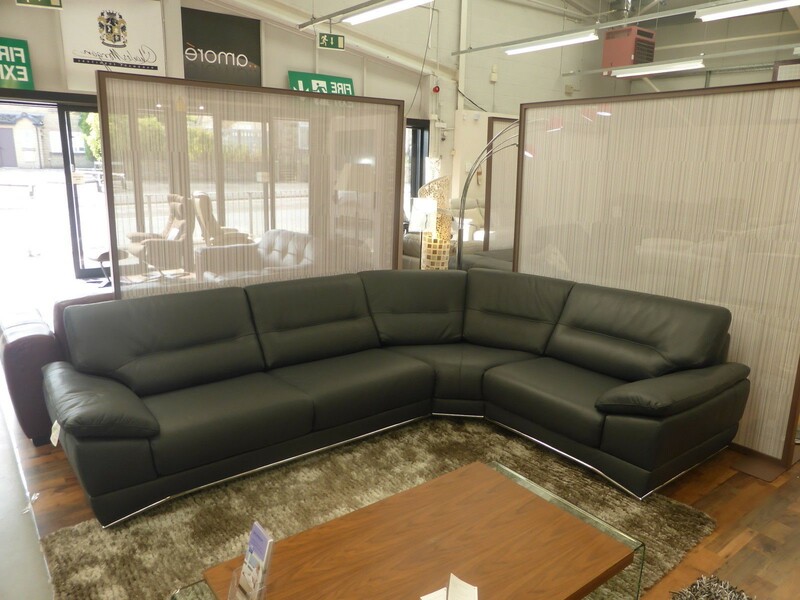 Natuzzi Private label Dolomite, absolutely stunning Grey Italian Protecta leather 3 & 2 seater brand new for £1499. Extremely comfortable with high back and chrome off the floor feet. Lovely sofas ready for immediate delivery call 01254 790795 for further information. The fantastic Natuzzi Paradiso is a versatile suite, the possible configurations are endless, making this an ideal sofa for a media room. Finished in Italian grey leather, the Paradiso also comes with storage, cup holders and a touch light, perfect for watching a film together. Silent motors and adjustable headrests means you can tailor your comfort. The configuration below retails at £5579, however we're selling it for £2999, an absolute bargain! Natuzzi Coco beautiful Italian protecta leather 3+2 seater going for a bargain £2499, call 01254 7907954 for further information. Natuzzi Italia 2228 LIU swivel reclining thick Italian protecta leather chair. Stylish and most comfortable. Gives a unique look as if its floating off the ground with swivel base RRP over £1499 our price for this one on display £599. 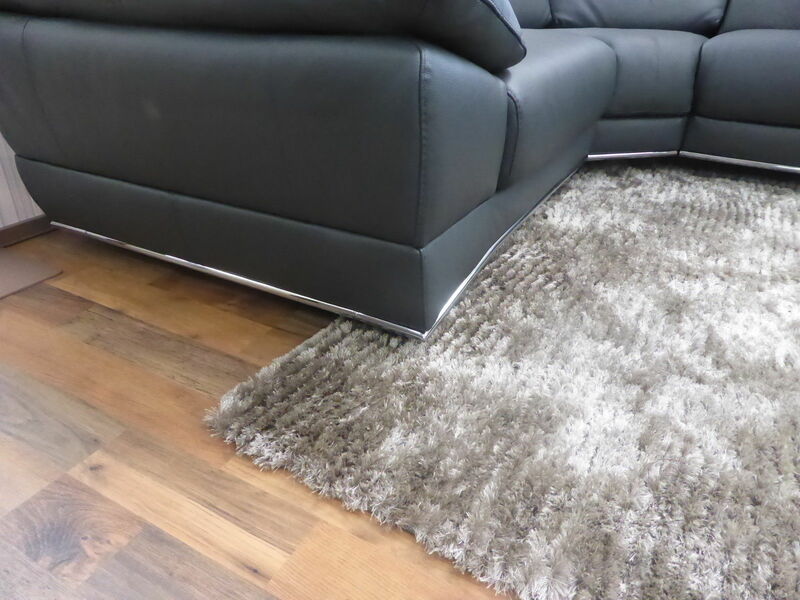 Beautiful soft hard wearing sofabed with storage. If your looking for a versatile comfortable sofa with a sofabed then look no further. Incredible price £1399, can also be ordered in other cloths orleather. Natuzzi Editions Tommaso B634 power reclining corner sofa with 4 manually adjustable ratchet headrests. Upholstered in full high grade black Italian leather. Retails at £6283 - ready to go at £3499. Camelia hard wearing designer corner sofa with storage and sofa bed. Extremely comfortable with adjustable headrests. The sofabed just pulls out and there you have a large spacious bed to sleep on. Also has a storage compartment. Brand new going cheap for £1999 . Natuzzi Editions B757 Brivido curve sofa with crescent footstool. Upholstered in full high grade leather. One off clearance sofa retails at £3849 but here ready to go at £1599! 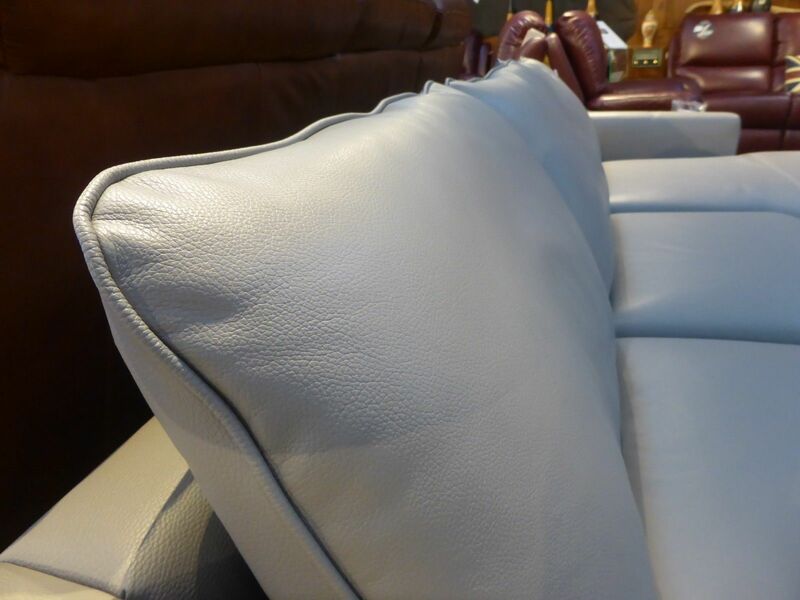 Natuzzi Wave 2 Brand new with Natuzzi warranty in beautiful thick Italian protecta leather. All seats are power recliners and as a bonus all the seats have electric heasdrests as well, far superior model. Every seat has an electric recliner and the cupholders and storage units are very handy . This sofa is modular so seats and cupholders can be added or removed to fit your configuration. RRP over £7900 our price £5999. Absolutely stunning full leather duck egg blue off the floor Mizzoni Italia chaise sofa. Pocket sprung seating for that extra comfort and slim modern design to compliment any room. Amazing price £1499. 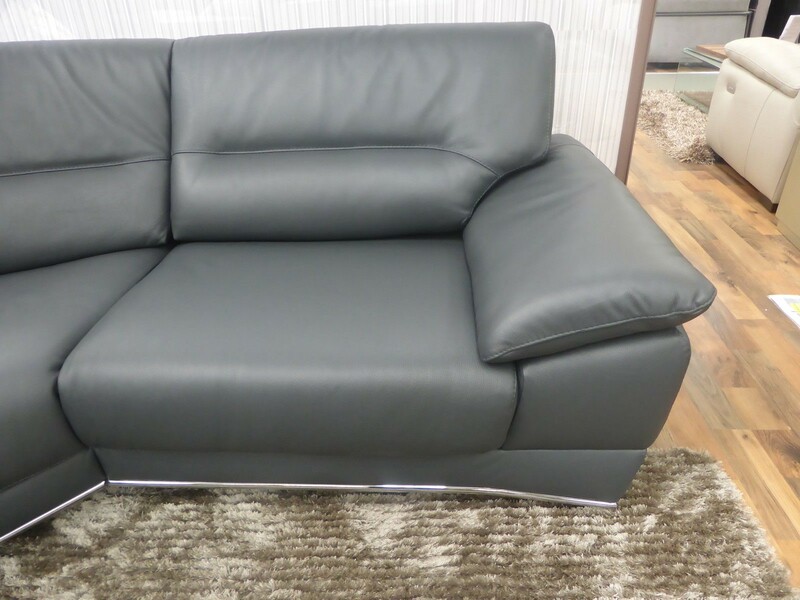 Natuzzi Rodrigo beautiful thick high grade leather 3 seater , 2 seater with matching power recliner chair. The sofa's are brand new out of packaging, in excellent condition. Very comfortable and modern. This set is RRP over £6000 our price for the lot £2499. Natuzzi Valencia beautiful high back power reclining corner sofa from Natuzzi private label range. This model is very unique as it has power adjustable headrest as well as power footrest. 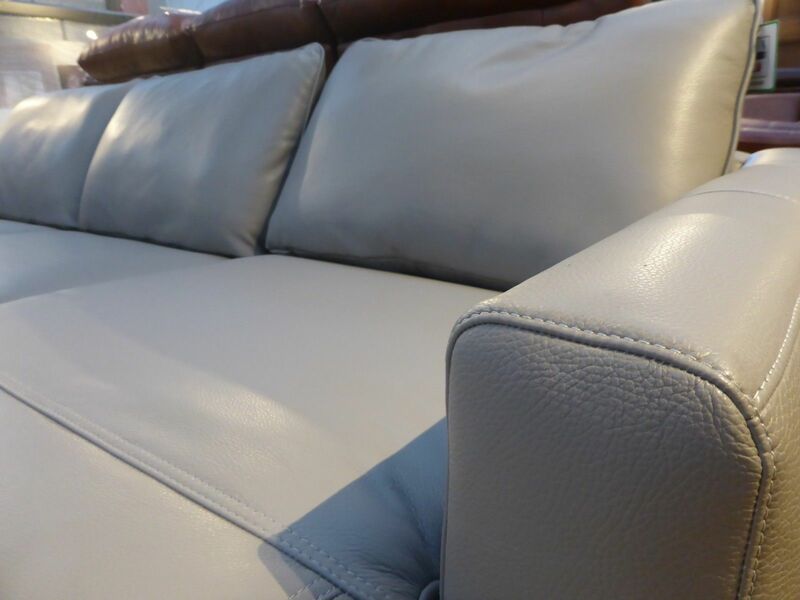 Beautiful Grey thick protecta leather all over brand new available for immediate delivery. Sells inj Next Home for £2499 our price for clearance cancelled order £1999. Mizzoni Italia Chesterfieldfull leather most comfortable, pocket sprung 3 seater and chair in lovely tan leather. Extremely well made and most comfortable. RRP over £4800 our price starting at £1799. Matching leather cushions to compliment the sofa, grab a bargain! Natuzzi private label Potenza right hand facing chaise sofa , slim , slick and modern in beautiful Grey leather RRP over £3000 our price £1799. Available to order in different fabrics and leather please call 01254 790795 for further information. Natuzzi B760 Michelle/Sensor power recliner left hand facing chaise in beautiful grey leather, RRP over £4000 our price for this brand cancelled order clearance £2499. Natuzzi Rossana fabric sofa bed with with contrast leather chair and footstool. 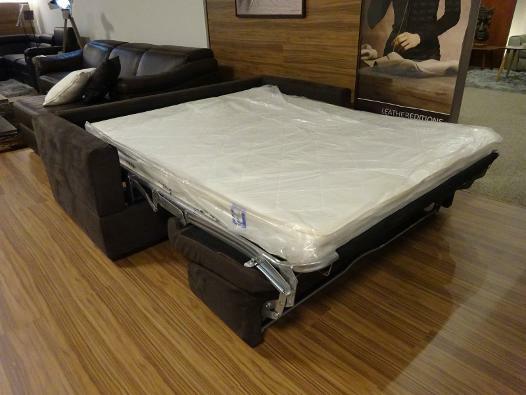 Extremely comfortable with pull out metal action bed inside which comes with a very comfortable Natuzzi mattress. 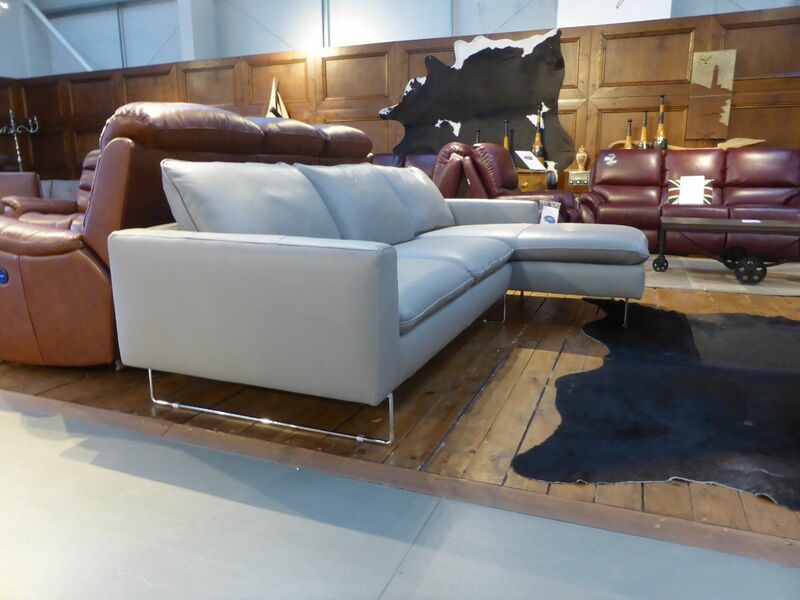 The sofa bed is in hard wearing suede feel fabric and the contrast chair and footstool are in beautiful Italian leather. RRP over £4000 our price £1299. Natuzzi Iter also called Pelle, Stima in beautiful Charcoal soft Natuzzi fabric with 2 power recliners brand new cancelled order available for immediate delivery RRP over £6000 our clearance price £2799. 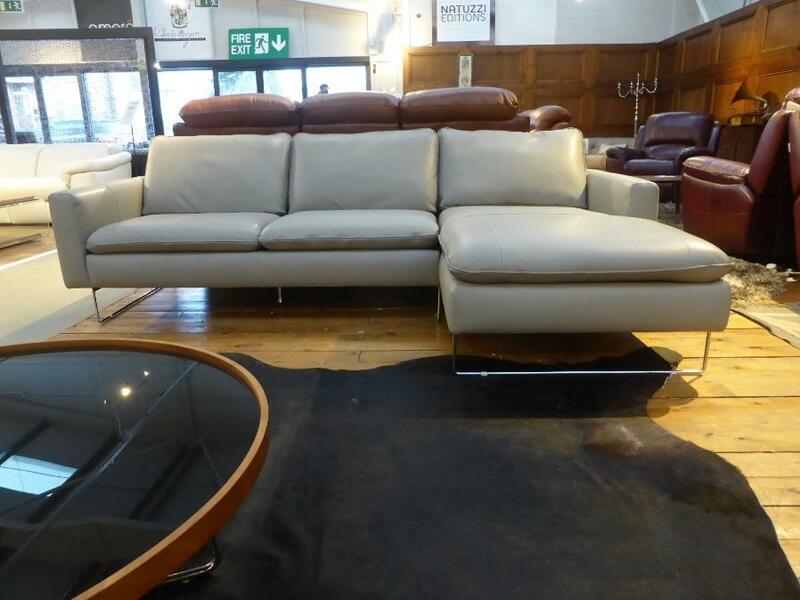 Natuzzi Private lable Rimini power reclining corner sofa with cupholders/storage compartment, beautiful thick Italian protecta leather , can be ordered in different colours and fabrics please call 01254 790795 for further information, £3499 in this combo. 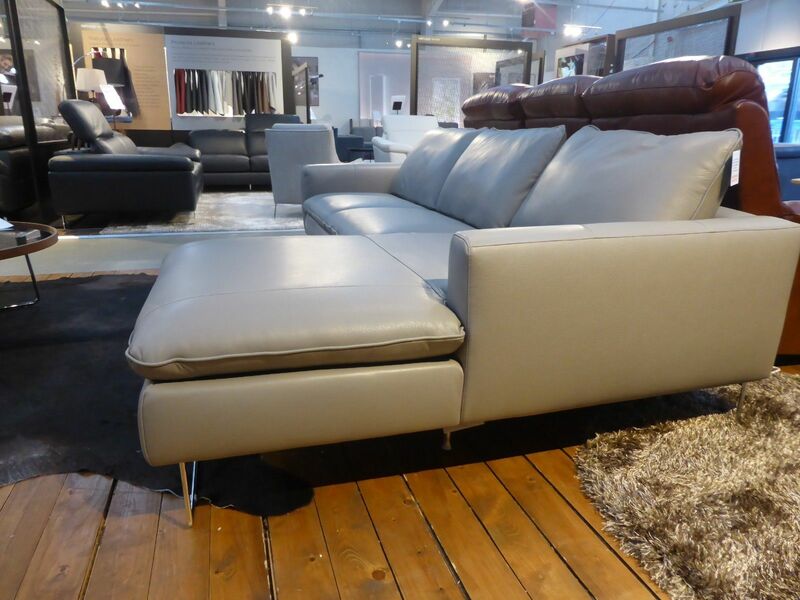 Natuzzi Editions Sensor power reclining 3 seater and power reclining 2 seater in beautiful Grey Italian protecta leather. Both the sofas are power recliners with hidden away state of the art touch sensitive buttons. Most comfortable and modern sofa RRP over £6000 our price for this set to clear £3499 call 01254 790795 for further information. Natuzzi Editions Domenica in Mushroom. 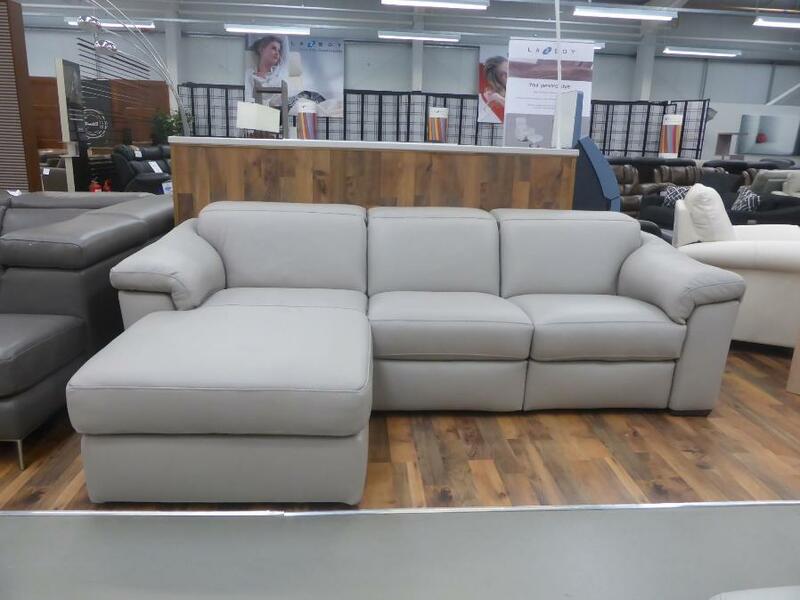 This sofa is brand new with warranty, in beautiful Grey high grade leather , this set would retail at £7989 our price for this brand new set with natuzzi warranty , £3999 available for immediate delivery. Beautiful Italian designer corner sofa which matches comfort with style. Simple and slick with amazing comfort, a combination that will win everybody heart. The Cannes Cinema Sofa is an experience in itself. This suite is perfect for a film night with friends and family. with a gentle curve and silent recline mechanisms. The Cannes also has storage, cup holders and touch lights, perfect for finding what you need without ruining the immersion of the film.